The World Health Organisation (WHO) has launched Lead Poisoning Prevention Week (October 25-31) to raise awareness of the devastating effects of lead. Lead exposure is estimated to account for 0.6% of the global burden of disease, with the highest burden in developing regions. Childhood lead exposure is estimated to contribute to about 600,000 new cases of children with intellectual disabilities every year. 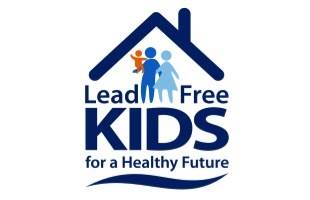 Even though there is wide recognition of this problem and many countries have taken action, exposure to lead, particularly in childhood, remains of key concern to health care providers and public health officials worldwide. The legal limit of lead in drinking water was reduced from 25 micrograms per litre to 10 micrograms in 2013. Yet, in some parts of the UK, the new standard is still not being met. Traditional solutions such as phosphate dosing and the replacement of lead pipes have proven costly and disruptive. Estimates put the cost of replacing all lead pipes in the UK at between £8 billion and £10 billion. ePIPE technology from Pipe Restoration Services is a more cost-effective alternative as disruption to existing plumbing can be kept to a minimum, cutting the time and cost involved. Tony Hanks from Pipe Restoration Services, said: “The problem of lead in water has not gone away and the recommended solutions are too costly and disruptive.